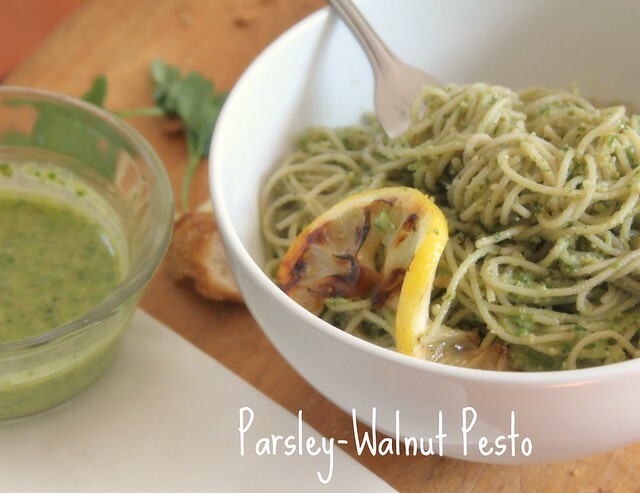 This versatile Parsley-Walnut Pesto can be used in so many different ways. So grab a loaf of bread, a bottle of wine and a friend...and enjoy!!! Place parsley, walnuts, cheese, garlic, and salt in the bowl of a food processor fitted with a metal blade. Pulse until well combined. Combine oil, lemon juice, and zest in a small bowl. Add the oil mixture to parsley mixture in a slow stream, pulsing to combine. Thanks guys! I found this recipe and I have to say I would NOT change a thing! The proportions are spot on. At first I was thinking 1/2 tsp of salt seemed like not enought but then I remembered how salty Parmesean cheese can be. As for the lemon...I used the juice and the zest from 1 lemon which ended up perfect! 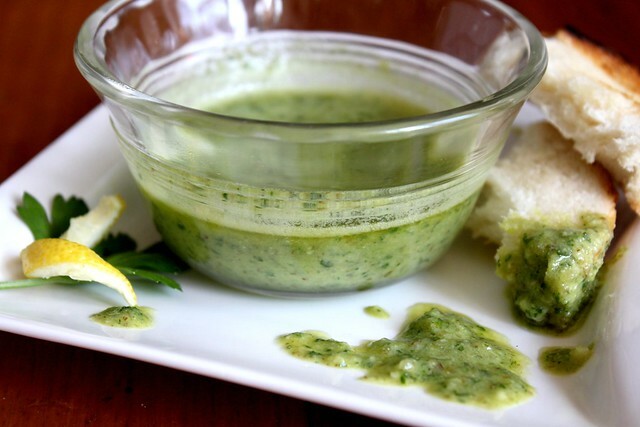 I absolutely love pesto. This looks so good! Sometimes a simple pasta dish is so comforting and perfect. 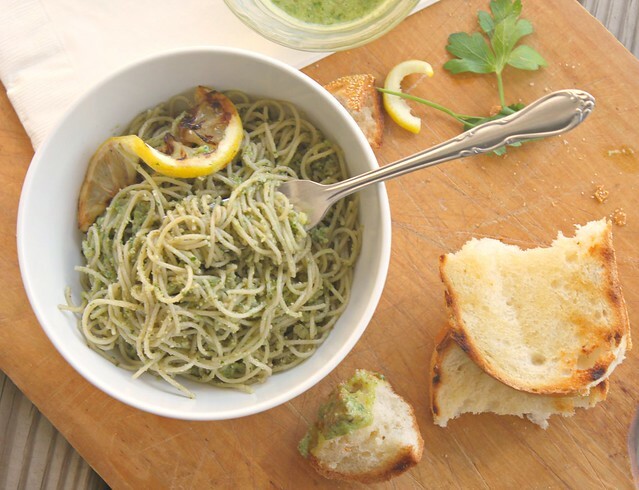 I'm craving a pesto now and I love this version. Simple is best!! 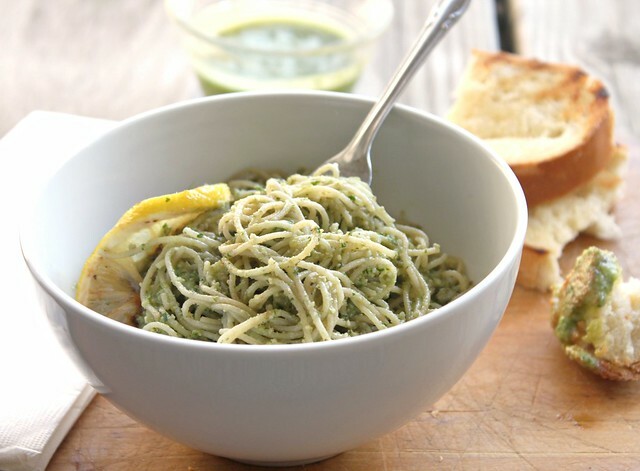 I love pesto - and you are right, they can be so versatile - I think some people think it's only for pasta! I love making pest with all sorts of ingredients! This one looks perfect in its simplicity! I heart walnut pesto. And charred lemons. And your pictures. Yumtown.